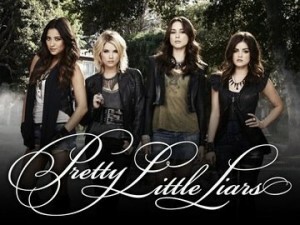 ABC Family’s flagship ‘teen drama, Pretty Little Liars has cause for a double celebration this week, after it was announced by the network that the show is not only being renewed for a fifth season, but also that an official spin-off series will premiere by the end of the year. The network (itself a ‘spinoff’ of sorts) claim that new show Ravenswood will premiere following the ‘Halloween episode’ of Pretty Little Liars in October this year. Meanwhile, it was also confirmed that while said episode will be a part of the 4th season (which begins airing in June), the original series will have another year guaranteed, which if following the current 24-episode season structure will bring the show to a total of 119 episodes by the season 5 finale in 2015. With plenty of faith invested in the brand, will the Pretty Little Liars be able to maintain their average ratings of over 2m for ABC Family with the small matter of an extra show to take care of now? I am very happy that Pretty Little Liars got picked up for a fifth season and that Ravenswood is in the works! I’m excited to see what that show is about! Because of my late work schedule at DISH I won’t actually be able to watch either show live, but I will make sure to record both to watch on my own time. Luckily my DISH Hopper does give me 2,000 hours of entertainment to store, so when these do air, I’ll have plenty of room to record them among all of my other shows; I can’t wait! Pretty little liars is a great show but when will season 4 come out on netflix? when does it come out on netflix ? when will season 5 of pretty little liars go on to Netflix?